Lately, my focus has been on yoga. Since I spend my day guiding my clients towards eating disorder recovery and supporting them on their journey to a healthier relationship with food, I've found myself spending my off-hours in the yoga world. I've found a new spark of excitement on my mat again after a pretty inconsistent practice when I first moved out here. This summer, I've transitioned from doing most of my yoga practice in a studio, live with (amazing) teachers in my old studio to creating my own yoga space on my balcony in my apartment. Due to the traffic to drive to studios and the price of classes, I've found myself getting back to my own home, personal practice. This has always been a sacred space for me, and I adore getting on my mat to do my own flow or guided by online classes. Most mornings I find myself moving in some form of the other. My fiance and I always take our dog for a walk and either before or after, I find myself flowing through some spontaneous movements in the living room or outside on the balcony. It's nothing strenuous or planned - it's simply intuitive, fluid movement to awaken my body after sleeping. I call it my yoga wiggles because that's what it is. I'm usually making some kind of spirals in cat/cow, spinal rolls through downdog, or chilling in malasana (a low squat) with neck rolls and releasing tension in my jaw or face. I'll usually end with a meditation or pranayama breathwork for 5-10ish minutes. The goal is not to workout at all - it just is a way to connect to my body and tune into my inner body in the morning. It's a self-care practice to breathe space into my body and imagine sending energy throughout my being to feel centered, alive, and connected as I enter my day. Some mornings, I'm tired, so it may be slower movements, and the movement usually ends up energizing me right up. Or other times, I do want to move more, so I find myself moving faster and maybe getting some fire in by awakening through my core. The practice allows me to tune into my inner body, meaning my inner thoughts, emotions, and energy. It can be easy to tune out when I'm busy during the day going through the motions, but my morning practice is my chance to check in with myself. Inevitably, what's going on in my life, relationships, and process shows up on my mat. My practice gives me a somatic way to process my emotions on the mat. 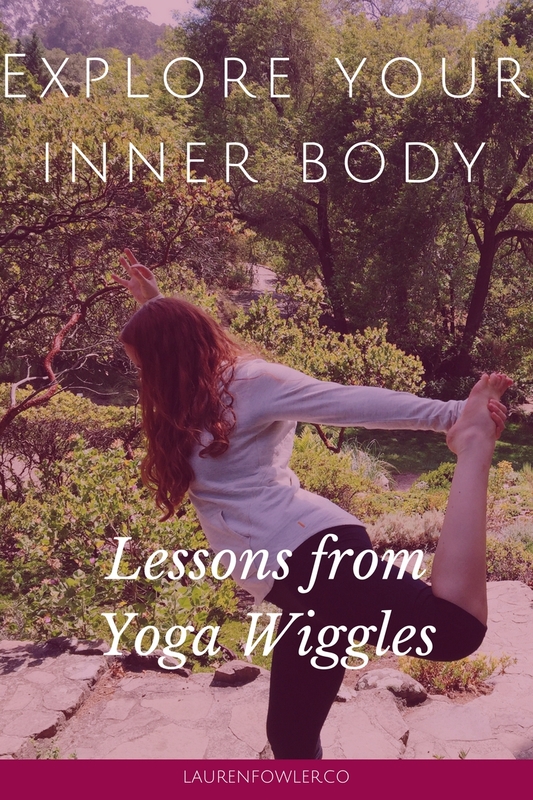 I do notice when I'm feeling sensitive or emotional, I may tend towards backbends to open through my heart and connect to my source of self-love and joy. When I'm feeling overwhelmed or anxious, I find myself in malasana or child's pose to ground and center within myself. When I'm drained, I'm pulling out my bolster, eye pillow, and lavender essential oil to set up in restorative poses. When I'm happy and playful, the music turns on, and my practice turns into a dance party. The movement allows me to process by tuning in deeply to how I'm feeling on a physical, emotional, and energetic level (because they're all related, anyways). When I'm in child's pose, I feel myself wrapped up into a fetal position, which allows me to feel safe and grounded. If I've been holding in sadness or overwhelm, this may be a chance for me to breathe out sighs or cry to let it out. While journaling or talking about events or emotions is certainly therapeutic, sometimes all I need is to feel it within my body and let it release through me. Often, it leaves me seated, breathing, and feeling a deep sense of peace or joy within me. That's when I feel so much gratitude for this practice and how the physical asana practice leads to depth within to connection with my inner body. While sometimes the asana gets wrapped up into doing the most physically advanced poses or perfecting the Instagram pictures, that's not what it's about. The physical practice is a doorway to your inner world - your thoughts, emotions, and energetic body. Be with your whole self. The practice allows a connection to my body and allows me to notice when I'm feeling uncomfortable within my body. While in the past, I may have blamed my body in those moments on how it looks, now I'm able to tune in and notice what else I'm feeling. Through yoga practice, I've been able to recognize it's an anxiety or fear that sometimes shows up as poor body image. The practice has given me the gift of feeling comfortable in my body and being able to stay with intense emotions and sensations rather than trying to control my body. Of course, it's yoga that gives me this moving meditation, but maybe it's different for you. Walking, running, and hiking have all been moving meditations for me at times too. Find movement that feels good for you, and tune into your inner body throughout it. Explore what it's like to let go of plans, and just move. Roll out your yoga mat without a sequence or video. Lace up your sneakers, and walk without a plan for how long or where you want to go. Move, and let your intuition guide you. This may feel strange at first if you're used to having a plan for your movementt. By practicing, you're building your 'intuition muscle,' which is arguably just as important as all your other muscles (that and your heart!). If you find you are the type of person that processes through journaling as well (like me), I've started keeping a journal next to my yoga space to jot down sequences, thoughts, or insights after my practice. I don't do it every time, but it's easy to grab if I want to jot something down.